"Meet the world's only loveable billionaire." 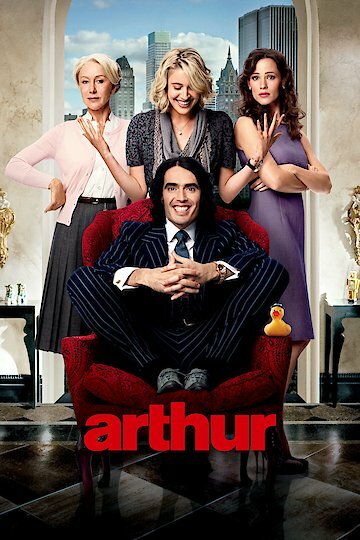 Arthur is a hilarious comedy that follows the life of drunk woman chasing Arthur who stands to inherit a large sum of money. That is, if he doesn't fall in love with the wrong kind of woman. With his inheritance on the line, the drunken antics of the main character keep audiences laughing as he hopelessly falls in love with a woman his family doesn't approve of. When Arthur realizes he won't be inheriting any money from his family's rich luxury unless he dumps the woman he has fallen in love with, the loveable Arthur must decide for himself which is more important- love or wealth? Witty, funny, and keeping audiences filled with laughter throughout, this oddly heartwarming remake of the 1981 classic is ideal for any adult audience. Arthur is currently available to watch and stream, download, buy on demand at Netflix, Amazon, Vudu, Google Play, FandangoNow, iTunes, YouTube VOD online.